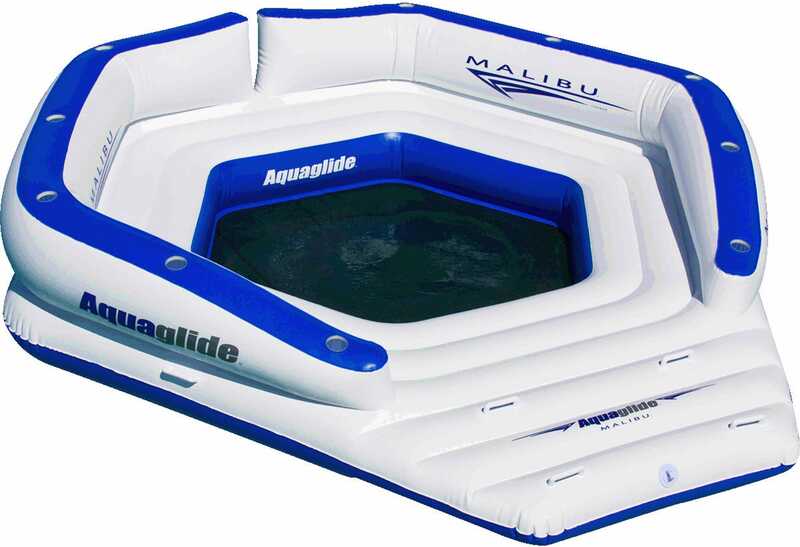 The Malibu™ Lounge was born to party! With generous seating, comfy backrest, cool soaker-mesh floor and copious cup holders, this lounge means business. 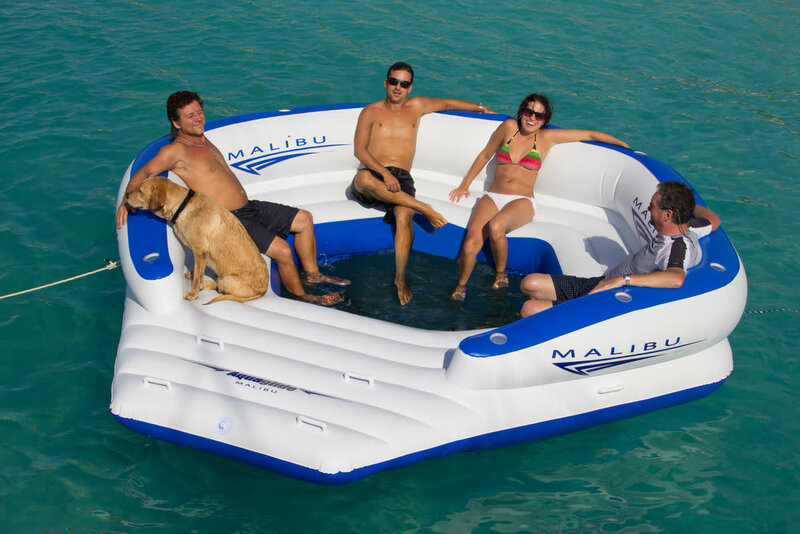 Generously sized for up to 10 users, the Malibu Lounge sports an integrated boarding platform with molded handles for easy access from the water. 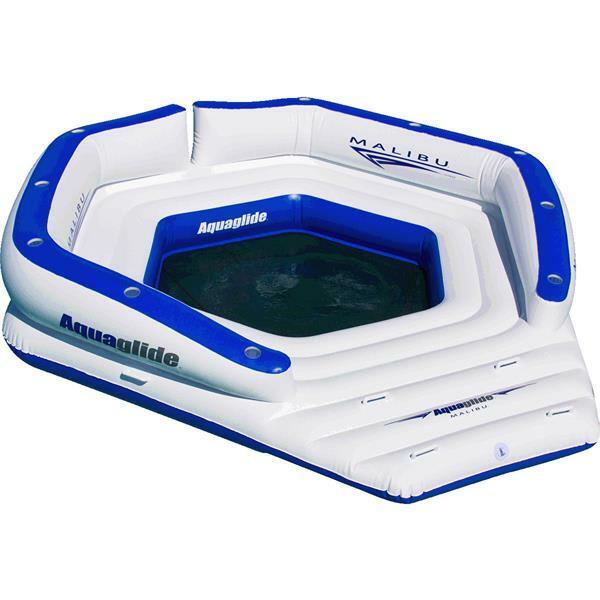 Awesome on its own, or connect to Malibu™ Aquapark so the kids can party too!